The absolute, most important thing to getting a book published by a traditional publisher is perseverance and belief in yourself and of course, your book. As you know, it took me 9 years of perseverance. Also a lot of head slapping (my own head, that is), eye rolling and groaning on my part. If you are just beginning the process, or if you are years into the process, remember to do your research. One of the most invaluable tools that I resort to is the book "Children's Writers Book Markets", which is produced every years. The updates in this book, as to which publishers are accepting, what they are accepting, send query or send the pdf for review, similtanious submissions or exclusive submission, the list goes one, will become your best buddy to get to know the publishing industry. But one thing that stays the same, the publisher guidelines you must follow. See, as an author, you have no rules. Publishers have all the rules. And if you want to get anywhere, you must follow their rules. This is just the nature of the game. To just read the "Children's Writers Book Market" is still not enough. 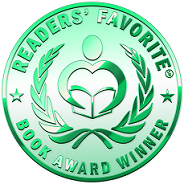 You must visit the publishers web-site, see what kind of books that have been published and decide if yours would fit in. 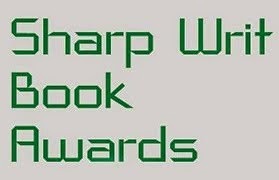 If it does, write them a query letter with a synopsis of you book. Send a SASE (self address stamped envelope) for their reply. And, if they ask to see the book and want an exclusive submission, don't sent the book elsewhere. Then wait 6 - 8 months for a reply. In the meantime, don't sit idle. More research, more queries. Query letters to other publishers can still be sent, even if a different publisher is reviewing your book on a exclusive submission. Make a list of possible publisher to send our queries to. 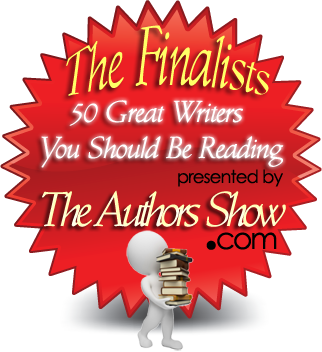 Make a list of publishers that accept manuscripts without a query and what kind of submission that publisher wants. But make the list and keep track of where your manuscript is. This all becomes very confusing in no time. You need to keep a log of what was sent, where, and to whom. I know. It's a lot of rules. For all of the 9 years that I was trying to find a publisher, my manuscript was constantly somewhere. I received 30 rejections for this book. Talk about perseverance. A published author also has to have thick skin. Rejections are not about you as a writer, rejections are about the immense choice a publisher has in manuscripts sent in that year. Some publishers receive upward of 10,000 manuscripts for review in a single year. So, back to the research. Did I want to send my manuscript to a publisher that receives that many submissions? I usually tried to stay away from these large publishing houses. Being a first time author, I knew my chances would be less with these large publishing houses. I submitted to publishers that had a record for publishing the majority of their books with new authors. These facts are all in "Children's Writers Book Market". So, just when I thought I knew what I was doing. My first contract (which was forfeited by the publisher due to their funding problem) was with a small press that did 70% of their yearly books by new authors. Alas, I did get a contract, but it didn't work out. 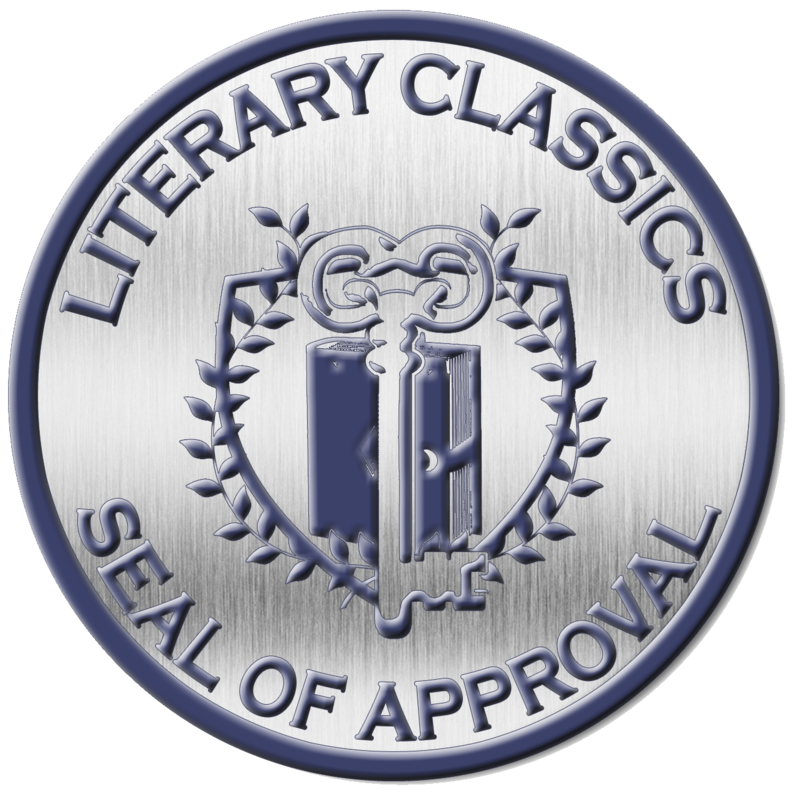 My second acceptance and contract was with a large publishing house that only accept 10% of manuscripts submitted for publication. This publisher received upwards of 10,000 manuscripts per year. So after all of the years of my submissions to small publishers, I finally got accepted by a large publisher. My advice--send your queries and/or manuscript to every publisher, big or small, as long as your book meets with their guidelines. An interesting fact: Dr. Seuss received 27 rejections for his book entitled "Mulberry Street:" before it got accepted for publication. This fact is a reality with many authors. Patients, perseverance, and a lot of head slapping (your own head, of course). By the time you have a dent in your head, you will probably get accepted. What did I do before I become an author? Besides trying to become an author and dealing with all of the difficulties encountered in that industry, these are some of my experiences. I participated in five separate dental missions to Central America for one week intervals. We treated the very poor, the ones who had no access to health or dental care. On these dental missions, I was trained to give local anesthetic and do extractions. These pictures aren't that great because they were taken before I had a digital camera, so I've taken a picutre of my picture. Four of the dental missions were in Honduras, We lived in jungle villages and worked in the schools or churches, and often worked outside. One mission was in Guatemala. On that mission we stayed with a local family and a bus picked us up every moring to go to different villages to work. One of my most poignant memories of these missions is the time we worked in a Honduras jail. The conditions were appalling, with 6 people to a 12 x 8 cell and no bathroom besides a pot in the corner. But even more heart wrenching was the women's quarters. The women that had no one to take care of their children, had their children with them in jail. A lot of women were in jail for charges of theft, but months and even years later they had't been in front of a judge yet. There was no schooling for the children in jail. We treated many women and children in the jail. I was glad that I brought a few chocolate bars to give out to the children. After we had finished working in the jail that day, then it was time to cry. I think these missions helped build my character and was a milestone in shaping who I've become. I understand how we really are all brothers and sisters in this world. Although I don't travel to do missionary work anymore, I am actively involved with a group that does missionary work in northern India. Steven King - he was the nerd at the drive-in theatre concession that you knew just spit on everything. Dr. Seusss - he was the teacher who worked with kids that only babbled. Lemony Snicket - he wasn't the cook, for a restaurant that wasn't there, that would kill you if you ate the food. Okay, on a more serious note. What did I do before I became and author? Well, for the most part, I was trying to become an author. After I took my journalism courses and another two courses at the Institute of Children's Literature (6 years of correspondence), then I finally had time to do some writing. Well, writing was the easiest part for me. 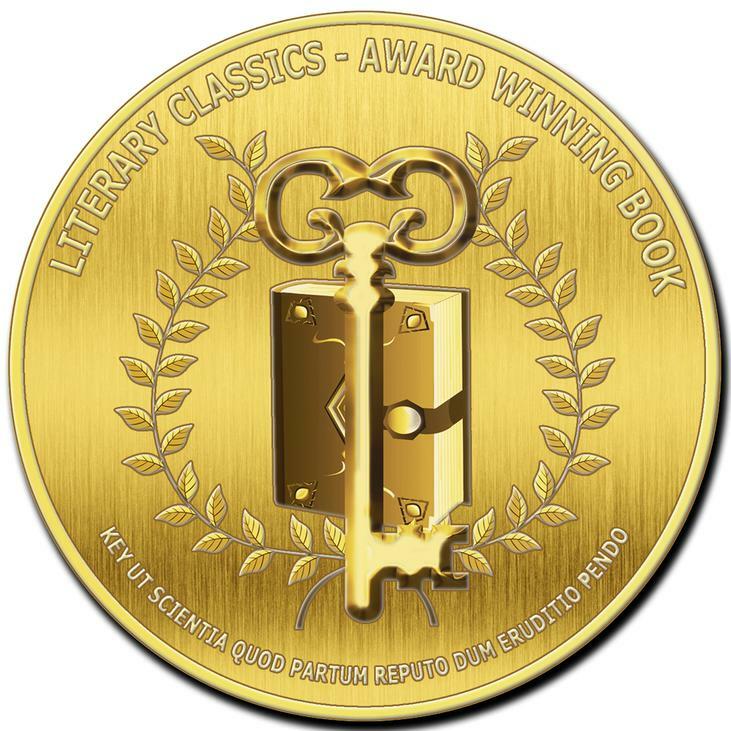 The hard part was the constant research of the publishing markets, the endless query letters to publishers that might be interested in the story (this to publishers that plainly state they have an interest in this kind of story), and then the submission process to the interested publishers that usually comes back with a NO answer after several months. The worst part of this is when a publisher wants an exclusive submission, meaning you cannot send it anywhere else until they reply. ???? Once in a while, I would receive a hand written note from the editor saying that this is a really good story, but they already have their dragon-princess-knight story for this year. Once, I received a possible publication notice if I could turn this story into a math adventure. Well, I couldn't nor did I want to. It's all very frustrating work. I have had several potential books out on rotations to different publisher for the last 9 years. 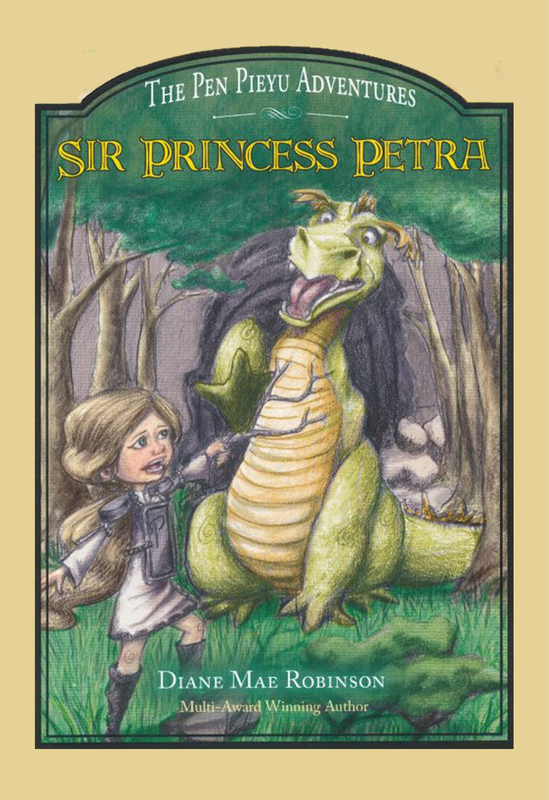 At last, 9 years later, I receive a call that someone wants to possibly publish my book: Sir Princess Petra. But, they wanted it turned into a chapter book. 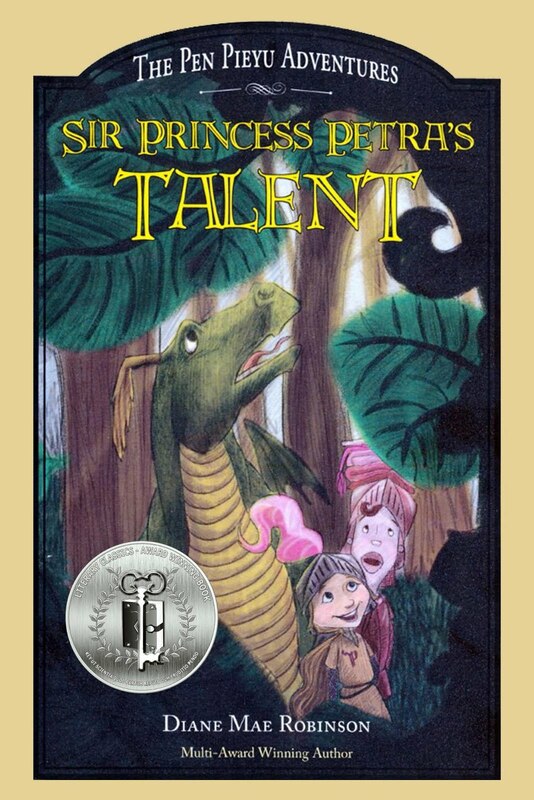 This book was originally a picture story book entitled The Princess Knight. 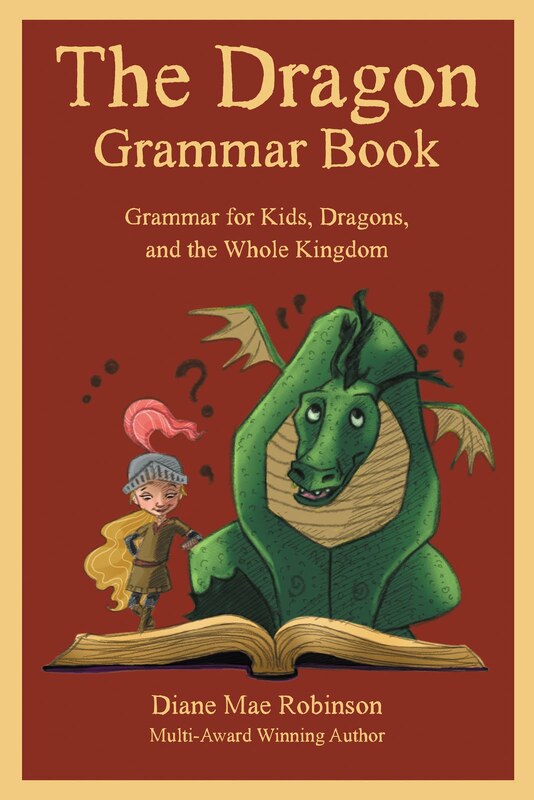 And as children book writers know, story pictures books and chapter books are two totally different concept of writing. So, panicky me. My forte in my writing courses was picture story books! What's an author to do? READ. STUDY. FIGURE IT OUT! I did figure it out and I landed the contract. Whew! Most contracts to produce a book are for one year, as was this one. This particular publisher was very bad at correspondence and left me in the dark most of the time. We did communicate once in a while and me being a newbie, thought this was all regular. Alas, the lack of communication made more sense when the contract expired and there was no book. An e-mail message that said nothing more than something like: "Sorry, U.S. economy downturn has left us stranded with no funds to produce your book. Good Luck." It's amazing how a publisher can get away with that, when an author would have their pants sued off for forfeiting the contract. But you know, God works in mysterious ways, and if you just follow, He will guide you. Everything that happened, happened for a reason. Shortly thereafter, I received another contract with a much bigger publishing house that can do a lot more for my book. This new publishing house was easy to work with. Now I know how the process is supposed to work. And I've been flying since. The next blog will be more on the topic of what I did before I became an author, and will include pictures of the dental missionary work I participated in, in Central America. It's funny what people think when you publish a book. Comments like "Oh, you're going to be famous", and "you're going to be rich now", to which both I say, "Kafooee!" People who are non-writing types have no idea about the writing world and the tremendous amount of work that goes into the business end of writing. The business end that a writer must do to keep up with the 50,000 or so books being published each year. Personally, I hate the business end of writing. It takes up all my writing time. 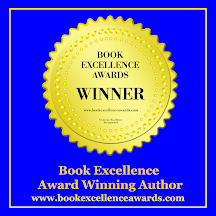 Besides taking up all my writing time, it involves hours of networking to try and get somebody to notice the book or to get some buzz going about the book. Mostly useless hours of letting the hook dangle with no bites. Every once in a while, all those hours I thought of as useless,actually make me feel like I may have gotten somewhere. Like when I write to a reviewer, and they write back saying they'd like to review my book: "YES!" Or when I contact a bookstore and they say they'd like to stock my book: "YES!" Or when somebody just calls me out of the blue to say they really liked my book and want five copies signed: again, "YES!" Those are all glorious moments for a writer. They're just few and far between. The hours I spend on my computer (his name is Lurch and we really don't get along that well) steal away time that I could be doing something else, maybe something fun, maybe even finishing book two in this series. So yes, the business end of writing brings up some resentment. This week was a plug-along-week, rolling my eyes alot, and making big sighing noises as I worked on the business end of my writing career. I wrote a bazillion emails, to which I received about five replies. And just when I was so exasperated with all this work, one of those glorious moments appeared. 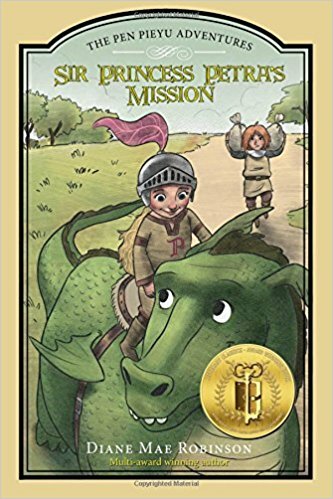 I received a review back from Erik The Great at http://thiskidreviewsbooks.com He gave me a super review and asked if he could read a section of my book aloud for National Read Aloud Day. This inadvertently started some people buzzing and talking about the book. He did such a wonderful job. He brought tears to my eyes, happy YES tears. And once again, I am reminded of why I do what I do. I am a writer because it is my destiny. I am a writer because I have to be. 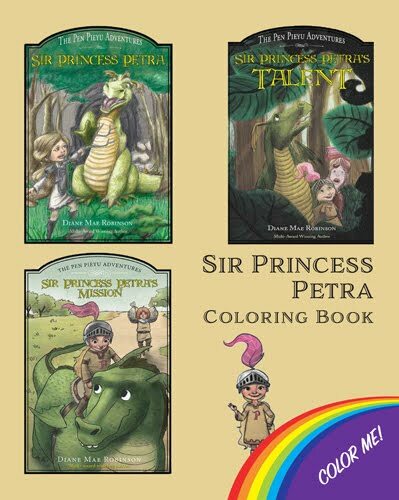 Please read the review and watch Erik's video at; http://thiskidreviewsbooks.com/2012/03/07/sir-princess-petra-by-diane-mae-robinson/ Also, read all the posted comment about this review. My husband called me a hypocrite! And you know what, he's right. The whole issue came up when we started talking about paper books vs. e-books. You see, I am a greenpeacer, environmentalist, and recycler of most everything not edible. So his question to me was: "If you're such a tree hugger, why do you buy paper books instead of using an e-reader?" The reason I have my own library and the reason I buy books printed on paper were obvious to me, but kind of hard to explain. First of all, I don't particularly like computers. They are difficult to get along with. Secondly, a book smells like a book and just about tastes of the adventure put forth by the writer. There's something about the smell of ink print on paper in a book that's enticing, inviting you into a new world. When you hear the crackle of the spine and the feel of paper as you flip the pages stopping at a random place to read a passage, or flip back to a page you previously marked that has the most amazing sentence, it's just somehow, well, more real. I've been in love with books since I was a child. My first book, Black Beauty, was given to me by my grandma when I was seven. It took forever to get through that book, but I cherished every world. I still have that book and the ink print on paper still smells like a book. In fact, I still have most of my childhood books, right up there, on the shelf, in my library. I can pick them up on a whim to gaze over the cover, read them again, or just flip through the pictures and smile. The feel of a book and what it holds inside makes me feel like. . . well, like I'm soon to be wrapped in a warm, comforting blanket. We were recently on a plane to Maui, and everywhere I looked, I saw people with some kind of e-reader--even really old people. And there I was with my 22 pound Terry Goodkind book and not about to give it up for the world. I had papers sticking out of a hundred different pages to mark the magical passages that I would read and re-read later. 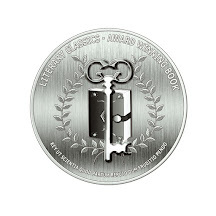 I thought about purchasing an e-reader for a moment--uh. . .No. I would live as a dinasour and savour the printed word, and that's that. People say change is good. And for the most part, I keep up with change. But some things will forever stay the same. So, yes, I am sorry to say that I am a hypocrite. You're absolutely right, my dear husband, I have been responsible for killing a tree. This is why I have to hug the trees still standing tighter.